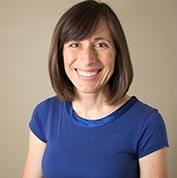 A pediatrician and primary care doctor with academic and practical experience including a residency in pediatrics at Dartmouth-Hitchcock Medical Center, Dr. Sara Stulac looks after the community of Boston, MA. She sees patients at Child Health at BMC. She was awarded her medical degree at Tufts University where she also earned her master’s in public health. Dr. Stulac obtained her bachelor’s from Amherst College and is board certified by the American Board of Pediatrics. She is fluent in English and French which makes her widely accessible to patients from a variety of cultural backgrounds. Dr. Stulac communicates with her patients with clarity and ensures they have all the information they need to make the right treatment choices. She is flexible in working with the changing trends in medicine and in the healthcare market. Hospital failed to register initial appointment but received a new one within 30 minutes.